Welcome to the final blog edition of the Summer 2018 new collections launch! We have shown 4 brand new lines and lastly the expansion of two existing collections. 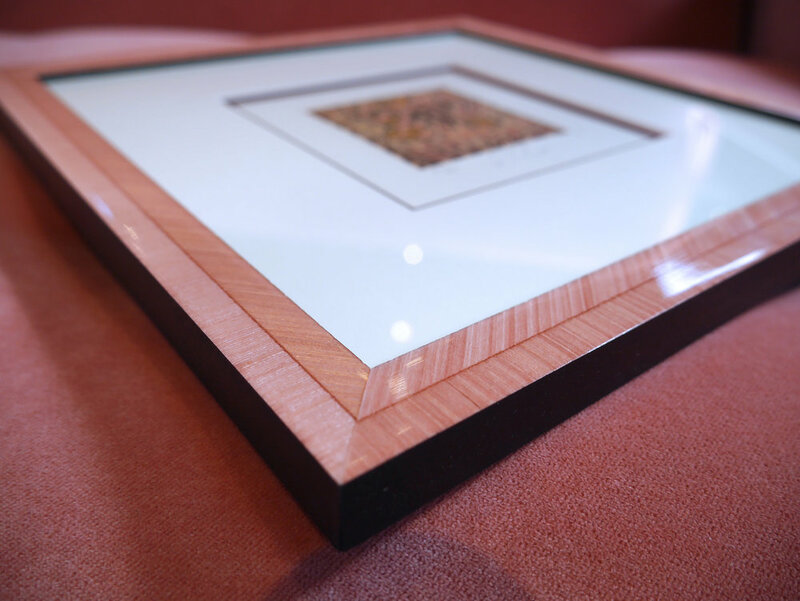 We hope you enjoy this new range of luscious, innovative framing options to thrill you and your customers. Magnifico! We have added more Italian lacquers! Introducing Parade, a collection of colorful glossy veneers and new patterns in the Calzini collection. Any parade is a colorful and celebratory event and what could be better than a rainbow at the end! The new Bella Parade mouldings include nine colors plus a rainbow in two widths. We kind of think of them as the love children of the herringbone pattern of the Rainbow Trout line and the colorful Jelly Bella lacquers. Really? 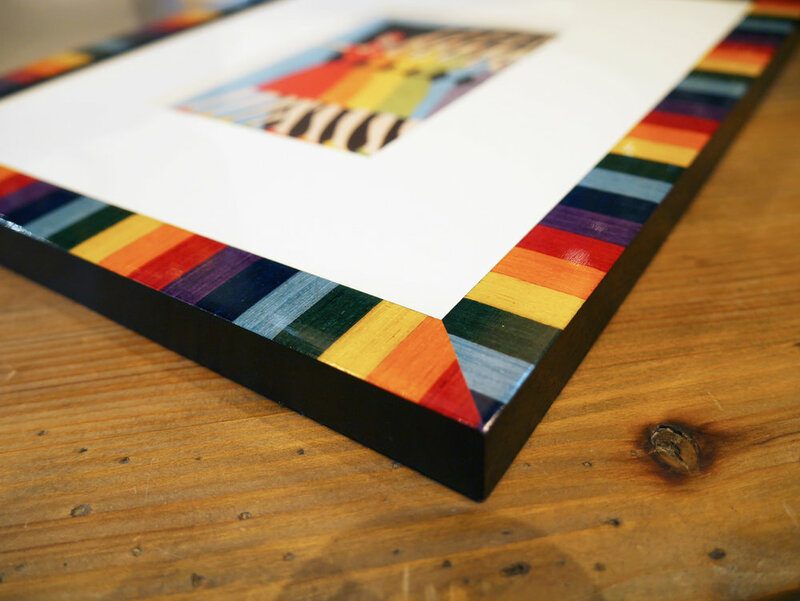 A rainbow frame? With design trends skewing more towards maximalism (see last week’s blog on the Baroque Bernini), we think the art world is definitely ready for a rainbow frame. And rainbows are not only the purview of children's art projects and bedroom decor. Including a spectrum of color in your home adds cheer, brightness and sunshine to any room. Roy G Biv is also an influencer of current fashion lines and home accessory brands. Burberry incorporates a rainbow stripe into it’s century old iconic check pattern in the recent February launch. Other top fashion houses like Versace are also featuring the rainbow - as an international symbol of pride, diversity and inclusion - into their collections. “There has never been a more important time to say that in our diversity lies our strength, and our creativity,” says Christopher Berry of Burberry. With the millennial pink trend slowly aging into more sophisticated soft corals, we’re particularly fond of the Parade Pink Carnation. Use the Parade when you need a pop of color….or rainbow. They work great solo or, of course, as the inside accent in a stacked frame. And let’s hope we all find that pot of gold at the end. View the full Parade collection here. Be inspired to march in the Parade on Pinterest. We’ve added four new cozy options to our Calzini line of Italian-veneer frames with patterns inspired by hand-knit sweaters or (their namesake) socks. These variegated veneers remind us of stripes in knitting, our love of a good ball of yarn and a fashionable pair of socks. 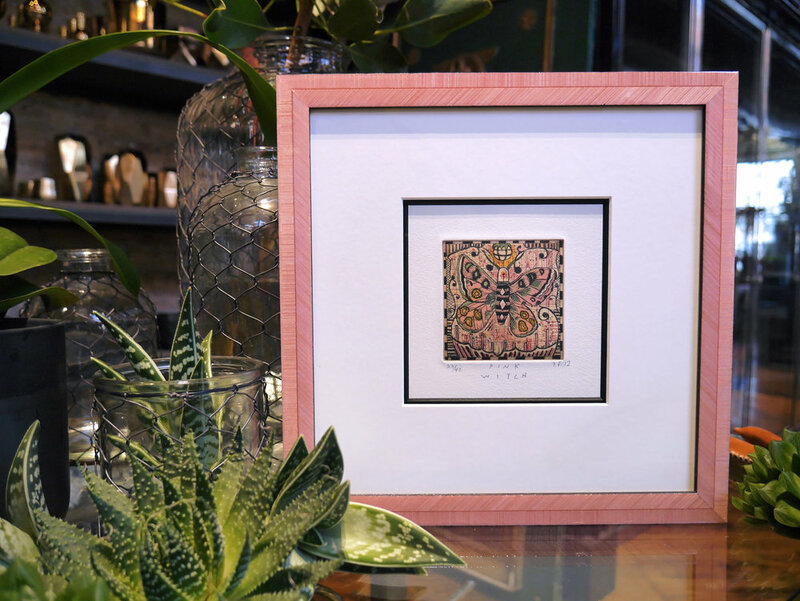 Calzini frames make excellent accents and are in tune with decor trends of Scandi-comfort or Danish Hygge and the desire to incorporate natural elements into the home. The four new Calzini are gloss-lacquered composite veneers in combinations of a creamy “angora” with a dark sable or a warm brown “ermine” in two widths. 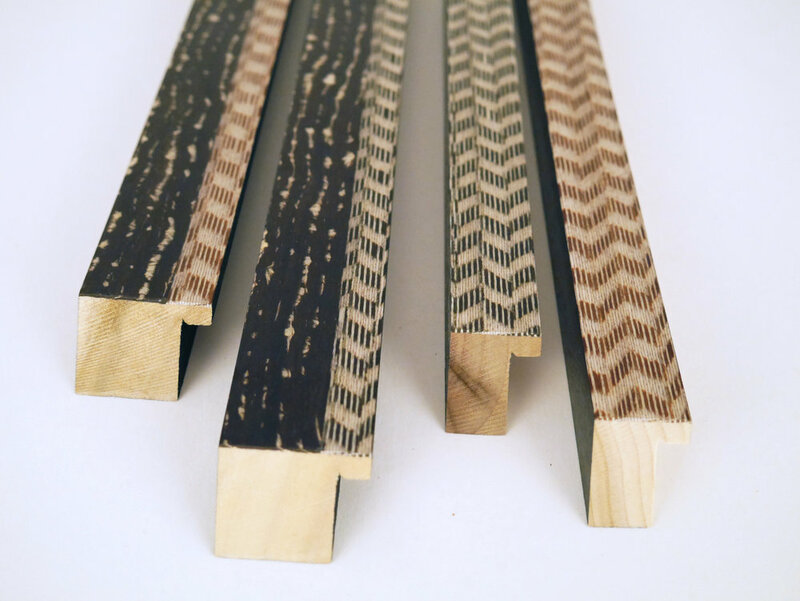 Below are the four existing Calzini mouldings. Be sure to request these as well if you don’t already have them in your stash. We hope your inspired to knit 2, purl 2 or put that knitting down and get back to framing. View the full Calzini collection here. Check out Calzini on Pinterest. We hope you love the new Bella summer additions. As always, contact our helpful customer service staff with special inquiries or to request your new corner samples today. 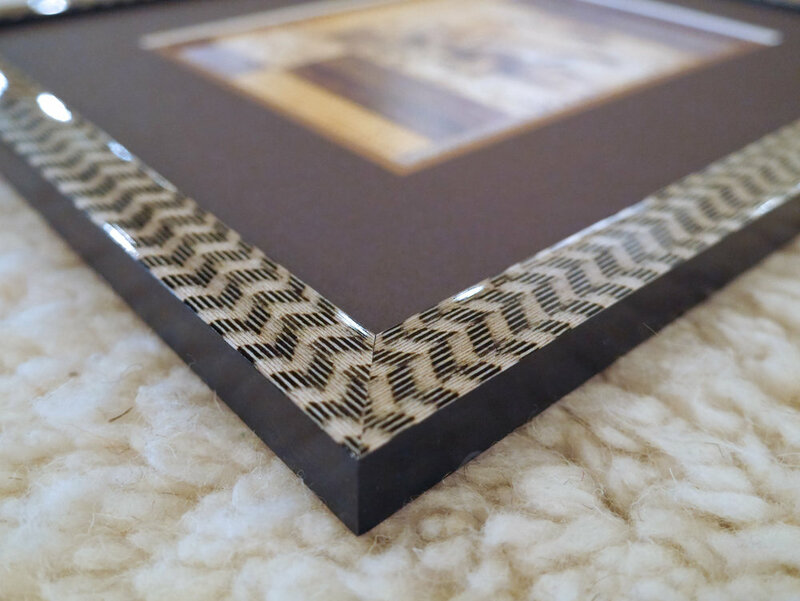 Now time to turn our attention to holiday framing and Vegas planning. We look forward to seeing your smiling faces at WCAF 2019 in January!